So, if the announcement said nothing, then why is Southwest making any announcement at all? That’s a good question. If you ask the airline, it’s because the news will become public anyway. It has to start the long process to get certified for extended-range twin-engine operations (known as ETOPS). That’s required when an airline wants to fly with two engines over long stretches of water with no diversion airport nearby. This happens in the public eye, so instead of just letting eagle-eyed sleuths break the news that Southwest was going to fly far from land, the airline wanted to get ahead of the game. That being said, my guess is this is really more about the employees. This was supposed to be announced before, but it was delayed. Why last night? Well, there was a “Spirit Party” in LA which is a pep rally for employees. There, CEO Gary Kelly came up on stage and let his Aloha shirt break the news before he even opened his mouth. Employees are undoubtedly very happy to hear about this, but it was still mostly just fluff. To be fair, there were a few little nuggets to take away from this. For example, we know Southwest will start selling tickets at some point in 2018. That’s pretty vague. Southwest won’t say exactly when flights will start, because it has no clue how long it’ll take for ETOPS certification to come through, but it could be as late as 2019. Here’s a surprise… this will actually start with 737-800s (presumably with a weight penalty) and not the MAX. I think most people assumed Southwest was just waiting until it could get enough MAXs along with ETOPS to start up service. But apparently this has now for some reason become such an important priority, it’s going to start with those -800s. That being said, Southwest made it clear this is temporary and the MAX will be the airplane for Hawai’i going forward. All the questions you have about this can’t be answered yet, though we can narrow things down a bit. What routes will be flown? Um, ones between the mainland and the Hawaiian Islands. Oh, you want something more specific? Well, not Baltimore. I can confidently say that. Actually, Southwest snuck something into a blog post from CEO Gary Kelly saying Hawai’i flights will start from California. That’s not a surprise. Which cities? Oakland? LA? San Diego? San Jose? Sacramento? Sure, those are all possible. I’ll guess it won’t be Bakersfield though. You can quote me on that. As for where the airline will go in Hawai’i, I guarantee it’s not Moloka’i. See, I’m just full of helpful knowledge. I’ll go even further. It’ll be Lihu’e, Honolulu, Kahului, or Kona and probably all four at some point. Whoa, that would be… something. Whether this means a true interisland network or just something limited for operational reasons remains to be seen. Or maybe it’s nothing at all. But if Southwest did try to get into the interisland market in a big way, it might find it hits a brick wall. As is the case in Alaska, air travel between cities in Hawai’i is a required part of life. The market is unique and Hawaiian knows it well. Southwest could come in with lower fares like others have before, but that doesn’t mean it can win. (Others… have not.) I’ll be curious to hear if this turns into something serious or not. While I don’t know that I like Southwest’s chances to succeed, I’m all for seeing the airline take a swing at it. At least locals can enjoy some lower fares for awhile. That, however, is just speculation, as is most everything about Southwest’s Hawaiian service so far. The most burning question for most people is naturally around what this will do to fares. Southwest will be adding capacity to the market, and that will bring fares down. (Thanks, law of supply and demand.) But I wouldn’t be surprised to see Southwest artificially keep fares even lower in the beginning. It will want to look like a low fare leader at the start. What happens in the long run, however, well, we’ll just have to wait and see about that. Actually, we’ll be doing a lot of waiting and seeing with this one. Another highly disruptive move by Southwest that will impact Hawaiian and Alaska the most while giving them something that many of their most loyal customers have wanted for years. I don’t see how this counts as disruptive or innovative by Southwest. Alaska has been flying ETOPS 737-800s to Hawaii from the West Coast since 2007 (Continental and Aloha also flew NG 737s to Hawaii from the mainland around the same time). If anything, the surprise is how long it took Southwest to start the ETOPS certification process. It’s had planes with the legs for these flights for two decades. Also, I’ll be curious to see if Southwest makes any money competing against Alaska (and also Hawaiian). Southwest’s costs (especially labor) are much higher than they used to be, and are higher than Alaska’s especially (and also Hawaiian’s, I believe). Finally, while Southwest’s service model is okay for its typical short-hop routes, it seems like it’s going to need to adjust somewhat for 5-hour flights. For example, offering only shelf-stable processed snacks won’t cut it for such long flights. Also, a total lack of power outlets (let alone IFE) on all of its fleet is a much bigger problem on 5-hour flights. Todd – I guess it’s a matter of how you define “disruptive.” Is it innovative and new? No way. But it is disruptive in the sense that it’s going to bring a lot of capacity into the market and cause heartburn for others. The service model problems for a 5 hour flight to Hawaii are no different than the service model problems they have on the nonstop transcons today, which are just as long. They offer just processed snack foods and don’t have power. The only difference I could see, and I don’t know the answer, is whether or not the Row 44 satellite service they use for Internet and TV will work over the Pacific. For those of us who aren’t terribly familiar with the limitations of (and differences between) the 737-800 and the MAXs, could you please elaborate? Also, could you please elaborate more on the likely weight penalties with 737-800s? How much does cargo revenue contribute to airlines’ profits for flights to Hawai’i? Apologies for so many questions, but always love the insights on your blog, especially as someone who is interested in aviation and follows it, but who isn’t a true avgeek. Thanks! From Wikipedia: 737-800 range: 2,935–3,010 nmi. 737 MAX 8 range: 3,515 nmi. I suppose that extra 500 nautical miles of range allows the airline to fly at full loads or handle adverse weather conditions. I don’t have any other information on weight penalties. Kilroy – I have no idea what the weight penalties will be for Southwest, but I know that Alaska often operates on the edge with its 737-800s and those have fewer seats (thanks to First Class and Premium seating). Alaska has 159 to 163 on those 737-800s and Southwest will have 175. I wouldn’t be surprised to see Southwest having to take at least a 10 seat penalty depending upon the routes. Also, published aircraft range isn’t very helpful for flights to Hawai’i because you have to carry a ton more fuel onboard (enough to fly on a single engine from the mid-point at low altitude to the nearest airport). So you can never get to max range. As for cargo, there’s no way Southwest is going to carry much at all on these flights. It’ll be full of free checked bags down there and not have room for much else. 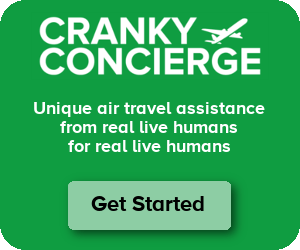 Cranky, With all of the problems with the CFM Leap-1B engines on the MAX would this affect the ETOPS process? Wild Bill – I have no clue on this one. Presumably if there are reliability issues, that would make ETOPS a non-starter until resolved. It would explain the timing. The plan might have been originally to start Hawaii with the MAX, but with those issues, Southwest decided to go ahead and get the ball rolling now with the -800 and switch to the MAX when they’re able. Since the dawn of time…. you made me spit out my coffee. Hilarious.. Does this have more to do with their new reservation system than the delivery of the 737 MAX aircraft (or a combination of the two)? I assume they didn’t want to start with daily or 6/wk flights, which was previously impossible. Nick – I doubt it. If the res system was the limiting factor then they would have started ETOPS a year ago to be ready to go when the switchover happened. I would think that they could have even run this on Altea earlier, just like they did with intl, if they really wanted. Allegiant found Hawaii was not a big thrill, what makes WN think it would be? Oh, joy, peanuts, no IFE, and “Bingo Boarding” for a 6ish-hour flight. Imagine my excitement. All sarcasm aside, the LCC offerings across the pond show that for a low enough fare some people will do almost anything (even go out to Newburgh-Stewart), so they’ll get takers. But with five other carriers, including hometown favourite Hawaiian, flying between the mainland and several Hawaiian destinations (and Allegiant still on LAS-Honolulu, at least for now), it’s going to be an uphill battle. You mean that if I apply common sense I’ll be able to get a decent seat with reasonable pitch without being a double-plus platinum or paying for first class? The horror of it all! I’ve heard a lot of complants about Southwest’s slimline seats, so “decent” could be debatable, at least until the “MAX” comes on the Hawaii routes. Routes? Honolulu to start…probably from multiple locations in California. Maybe Kahului too. Then Lihue and eventually at some point Kona. The real question is which locations in California? I’m thinking WN will not immediately take on United’s fortress hub at SFO but could do some real damage in SJC or OAK. If I were to put my money anywhere it would be OAK where WN has a bigger footprint and AS isn’t as well established as it is in SJC (and never will be now that it has VX’s slots at SFO to play with). I’m not sure prices will fall all over the region, especially if WN doesn’t try for SFO. United’s fares barely budged when VX entered the market and didn’t move at all when AS launched service from SJC and HA expanded service. I don’t know SoCal nearly as well so I won’t venture a guess there except to say if WN tries jumping off from LAX, there will be a price war blood bath. I definitely believe WN going to Hawaii benefits SoCal airfares more than NorCal. NorCal traditionally has been the more expensive market for Hawaii. Ontario? No airline is currently flying ONT-HNL n/s. Hawaiian tried it circa 1992 with L-1011’s. Didn’t last long though. If WN really wanted to return to its roots, FAT-LIH would be a good start. Southwest flying FAT-Anywhere would be most welcome and I think is at least a quarter century overdue. FAT looks bad on paper but apparently the studies don’t factor in almost the whole market skipping to either SFO or LAX for their travel needs, which BTW is a huge PITA hassle. Allegiant tried FAT-HNL and it didn’t work, although I don’t know if that’s a Fresno problem or an Allegiant problem. The “driveoff” problem has plagued Fresno for decades (I remember following the debate when I lived there in the 70s/80s) and shows no signs of ending. Yawn. The Southwest in-flight experience for 6 hours? No thanks. And what’s so bad about it? Sure, I can accept your comment if you’re fortunate enough to be able to afford business class – though you’re coming off as a snob. But, if you’re like the 90% of travelers who are stuck in economy, WN’s in-flight experience is better than most. For one thing, you have more legroom than most competitors. For another, WN is very easy and pleasant to work with. And the complaints about the boarding process haven’t been valid in years. Every time I fly UA or AA, I marvel at the disorganization during boarding. On my last flight, UA had about 72 people in Group 2! On WN, you’ve got your boarding position and you just line up. About as organized as it gets. So, although I know it’s “fashionable” to make snotty comments about WN, they are also as wrong as they are elitist. I’m 6′ 5″. I can pay $50-$100 for an Economy Plus or Exit Row seat on another airline vs settling for ever shrinking legroom OR pay $15 for Early Bird and almost always get an exit row and, even if I don’t, settle for decent legroom. Also, if you are in California and don’t live near SFO or LAX, you’re pretty limited on where you can fly nonstop on non-Southwest. Quite the contrary. From smaller airports in California such as SNA and SMF, Southwest has far more nonstop flights than any other carrier. I think that’s what he said. If you are not near SFO (a UA hub) or LAX (a hub for all), WN is your only option to fly non-stop on routes like SNA – SMF, OAK – BUR, BUR – SMF, SAN – SMF. Yes, I meant what southbay flier said. United ads have been appearing showing how great it is to fly out of SFO and how connected it is. The problem is, unless you live in southern Marin or the northern end of the Peninsula, it’s not very convenient. This is especially true for people in the Sacramento region. Also, especially for a short flight, dealing with a large international airport can be more trouble than it’s worth. I recently flew Jet Blue, transcon, in economy. Free high speed internet that is not bandwidth limited (I watched YouTube videos on the flight, a no-no on the poor WiFi other airlines offer), extensive free IFE options, plenty of leg room, a wider selection of in-flight snacks, and it did not have the poor attempts at humor one occasionally encounters on Southwest (from the flight attendants). The fare was lower than Southwest too, disproving your false assumption of elitism. Unfortunately Jet Blue has a limited route network compared to the big 4 airlines. But there’s no talk of Jet Blue flying to HI at this point, so it’s a non-starter. I believe that they have agreements with Hawaiian. The competition I’m talking about are the big 3. Platinum fliers love to bash WN, forgetting that the experience in economy is more pleasant on WN than on most DL, AA and UA flights. Full disclosure…I have two biases here: 1) I live in the midwest and thus tend to forget that JetBlue exists and, 2) I’m 6’5″ and legroom is important to me. Even if I’m not in an exit or bulkhead on WN (and with status, I usually am), I can survive just fine. DL and AA are excruciating for me in back unless i pay for premium. UA is a little better but not as good as WN. IF I were someone who popped for business class, I’d never think of WN. But, like most of us, I almost never do. And WN is not only good in economy, but are also usually very pleasant to deal with on or off the plane. > Unfortunately Jet Blue has a limited route network compared to the big 4 airlines. My rule of thumb with JetBlue is that if it’s not within a half hour drive of the ocean, JetBlue probably doesn’t fly there, or has low frequency if it does. They do a lot of flying to/from the Caribbean, East Coast, and West Coast, but very little in between. If Southwest has Wi-Fi on the Hawaii flights from the start, IFE won’t be that much of an issue. But while “Bingo Boarding” is pretty efficient, many fliers prefer to be able to select a seat on longer flights. If I’m flying TPA-FLL or LAS-SAN, I couldn’t care less about the seat, but if I’m going to be in a seat 6ish hours, I would prefer to be able to not have to deal with WN’s hassle. Just a personal preference. Yes, they have the wifi based IFE, which is just fine in the continental US but goes away about 45 minutes out over the ocean. I experienced that flying HOU-SJO – no more TV or internet once you get into the Gulf. That’s something they need to think about as they expand farther into the Caribbean, Latin America and Hawaii. There are already plenty of transcon flights on Southwest. The Southwest in-flight experience in economy is better than most other US carriers. SNA and ONT come to mind as strong candidates at some point. SNA’s 5,700-foot runway might pose a challenge. Both Aloha and Continental flew SNA-HNL for a while, but I believe both were using -700s. In any event, neither could make it work economically. Isn’t there an engine wear and tear issue for interisland routes? Or are they going to make sure the flight is 45 minutes even if half of the flight requires circling and going nowhere? Nick – There is that issue for any kind of short-hops. The bigger issue is probably around corrosion, care, and maintenance. It is a punishing environment for airplanes to fly interisland. Lots of wear from constant pressurization/depressurization from the constant turn arounds. Aloha Airlines got a scary lesson in that concept. I wonder how much of a fuel penalty it would be to just skip the climb and fly at 6,000 or 8,000 feet (unpressurized if possible) for some of those interisland flights (or, for that matter, for short mainland flights, such as ORD – MKE, DTW-LAN, DTW-DAY, etc). Not sure if it’s possible from a technical or ATC perspective, but it would be an interesting analysis to see. They should have kept the -300s for this!! I know on the ORD-MKE flights, UA and AA (via regional affiliates) tend to top out their RJ’s at about 12,000- 15,000 feet. And that’s only about 75-80 miles. ORD-MSN is a little longer (120 mi) and they tend to go up to 18,000 feet or so. I know this varies depending on weather and traffic conditions, but I’ve not seen any of these flights hang out at 6,000 feet during cruise. In September of 2016, the 737 MAX8 made a quick stop at LGB. In fact, the arrival of the 737 MAX8 caught most off guard. The plane landed and taxied to WN’s Gate 1 – apparently, the only people expecting the arrival were the ground crew at WN. Many surprised employees around the airport quickly made their way to the gate to get a view of the plane. After less than an hour, the plane pushed out of the gate, took off, and headed for DAL. The MAX8 was headed to Love Field for a celebration with Southwest Airlines. Why did the 737 MAX8 stop in LGB on the way to a celebration at Love Field? Could it be they were “trying the MAX8 on for size” at LGB? I believe WN will start Hawaii service out of LGB. Think about it, they would be suicidal if they try LAX. If they try any of the AS markets, who in their right mind would fly a cattle car versus Alaska’s service. I truly believe the MAX8 was brought into LGB that September day in 2016 to get a feel for the plane. WN will start service from LGB – away from any of the major players and establishing their on niche. Keep in mind, BUR and SNA would be heavily restricted with 7 hours of fuel and 175 pax. The 10,000 foot runway at LGB is perfect! This is nuts. There is no feed at LGB, tons at LAX, and LGB fares compete with LAX anyway. The point is to sell more tickets, both to locals and across the country. LGB does neither. It’s going to be OAK for Eastern connecting traffic as well as O&D, and LAX for south/western city connections and the massive local market. Flights out of the Los Angeles Area are almost 90% to the island. Nuts? Remember Allegiant at LGB? They initially wanted to start HNL out of LGB. But please explain to me why the MAX8 should up at LGB, at the WN Gate, enroute to DAL for the WN/Boeing celebration! I stand by what I say (predict). You also thought I was nuts when I predicted WN would apply for 9 slots at LGB when those became available. Simply, WN would get murdered anywhere there is service to Hawaii…including OAK. There is no way their cattle car service will be able to compete with AS/VX, UA, DL, HA out of the other airport. Also, there is speculation that a carrier is seeking slots out of LGB, rumored destinations is HNL. We are in October, the time LGB evaluates the average noise limits. Should more slots are made available, priority are given to new entrants. “IF” that new entrant serves Hawaii, that could change my prediction of WN. It’s ALLLLLL about the conversions! The only disruptive result of this impending fare war is that you can kiss free meals on HA goodbye. While, I think WN would be great for inter-island flights, I don’t like the concept of going on a five hour flight where you don’t know where you are going to sit. Plus on California to Hawaii routes, there are a lot of options since all three legacies do it, AS does it, and HA does it with nice wide-bodies. WN would be my last choice. The big winner here is the State of Hawaii. The islands are already well served from California and the West coast for a very reasonable price (in most cases). LUV will create a new demand from those who never felt a Hawaiian vacation was affordable but now that LUV “the low cost leader” is flying they’ll believe they can afford it. Will also be interesting to see if LUV initially restricts frequent flyer award seats on these flights. Assuming Southwest starts with Honolulu, they’ll only attract passengers who are only going to Honolulu. Unless Southwest plays nice with Hawaiian, nobody will be able to travel to an outer island on one ticket. And NOBODY will want to retrieve luggage from Southwest baggage claim and schlep it to the Inter-Island Terminal to re-check. Southwest will have to fly to the neighbor islands from the mainland to serve passengers who want to go there. Or that might also be why they’re hinting at inter island service. My LUV buddies were a bit disappointed that the Big Reveal was not the long awaited LAX/SNA/BUR/LGB coterminal crew base. Oh well…keep on commuting. Pretty good analysis from seeking alpha that came out last month regarding Southwest’s entry into the market. Does this mean we might see red eye flights on WN for the first time, or will they just have the crew stay overnight and fly back the next morning? They will be overnighting regardless. FAR117 would not allow them to do it as a turn. Adds dimension to the possibility of inter-island flying for utilization. Just deadhead a crew a day early have them spend the night. JB – Well the traditional schedule for local traffic is morning west and then afternoon east with the aircraft overnighting on the mainland. But certainly for connectivity purposes that redeye is going to be really important. Southwest has said it is working toward redeyes, so I’d imagine we will see it. While not mentioned during the event, wouldn’t it make sense to fly out of LAS too? jsglow – That’s likely a bigger stretch for the MAX considering the hot conditions there, but it certainly seems like something Southwest may eventually consider. I have no problem with Southwest for a short flight, but nothing more than 2 to 3 hours. No buy on board, no AVOD, no extra legroom options, no power plugs (since its BYOD), and no assigned seats. Hawaii is a honeymooners dream but flying WN for 6+ hours (plus any flight to get to CA) is not great. Yes, they’ll offer really low fares to get some unnecessary attention but within 2 years their fares will be no better, if not higher, than everyone else. Southwest offers some cheap flights, but otherwise they are the high fare carrier in my opinion. can you speak to the Rapid Rewards liability issue for WN on flights to Hawaii? Tim – Not sure what you mean? Several of the posts talk about the time required for ETOPS certification, but every WN 737-800 I’ve looked at says ETOPS on the forward landing gear doors. Would someone more knowledgeable about ETOPS certification than I am please provide a clarification? Gregm – Yes, they have some airplanes that are ETOPS-ready, but it’s not just the aircraft. The airline needs to go through a variety of hoops to become ETOPS certified. These airplanes will be ready when that happens. a fantastic tournament having a huge prize pool for a no highlighted match.